Since its inception in 2005, Women in IT has awarded 14 bursaries to female students studying in the ICT field. “I am Asisipho Fente from Khayelitsha, Cape Town. I passed Matric in 2017 and did not secure funding from any of the bursaries I had applied to. Early in January my mentor, Baratang Miya, helped me seek funding. We were at an IITPSA talk where she was a guest speaker, and she asked me to tell my story. I explained that I achieved good marks for Matric, but I did not have any funding and my parents were not able to afford my fees. I went through all the stages necessary to secure the IITPSA bursary, applying and participating in a telephonic interview.I was informed weeks later that I had been awarded the bursary. I cannot express how happy I was, because this meant I would be the first child from my family to go to University! 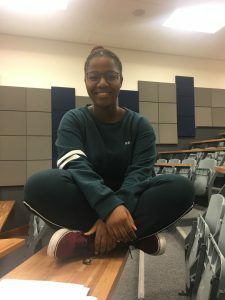 IITPSA congratulates Asisipho and wish her success in her studies. Applications for 2018 bursaries will open on 14 September 2017 and close on 30 October 2017. Motivations should be sent to bursary@iitpsa.org.za.